I have a calendar in my classroom that I bought from a classroom supplies store in America. As I was changing the calendar from June to July yesterday, I noticed how differently Americans and Japanese think of the month of June. 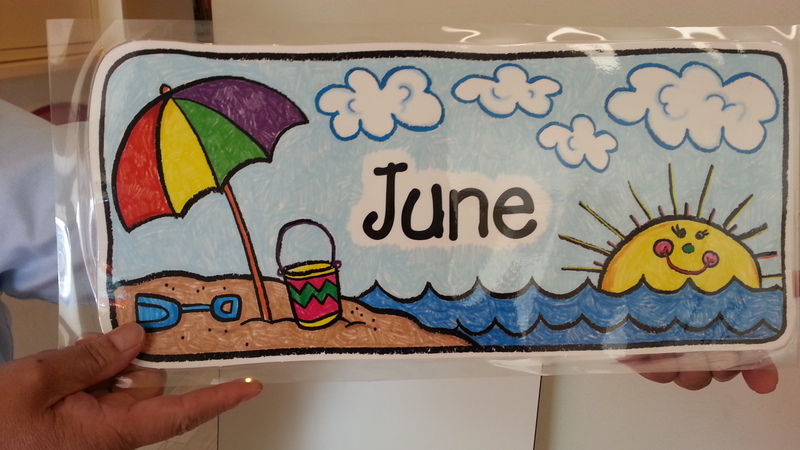 The American calendar has a sunny beach scene, as June is the month school gets out, summer vacation begins, and many families head to the beach to relax. In Japan, June is the month when rainy season begins, so depictions of June usually include hydrangeas and snails on a rainy day. My first couple of years in Japan, I would dread the onset of rainy season. Last weekend I did something that will forever change my mind about it. 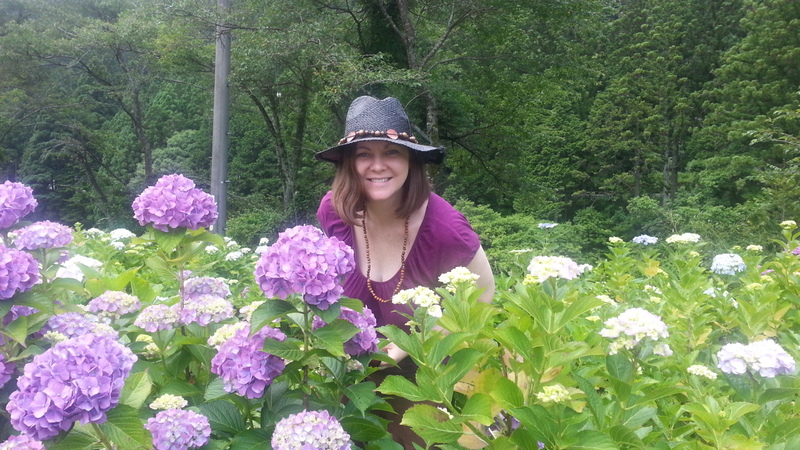 I went to a hydrangea festival in neighboring Gifu prefecture. Thousands of hydrangeas were in bloom, lining a winding mountain road. It was very beautiful. I guess every season has its charm.